GE Healthcare Korea announced today it has installed its cyclotron with a complete PET radiopharmacy suite at the Korea Institute of Radiological & Medical Sciences (KIRAMS), making the nuclear medicine institute the world’s 400th cyclotron production facility under the GE brand. A cyclotron, a type of particle accelerator, accelerates charged particles outwards from the center along a spiral path using a high frequency voltage and a magnetic field. It is used in nuclear physics research and for the production of radio isotopes in imaging and radiation therapy. 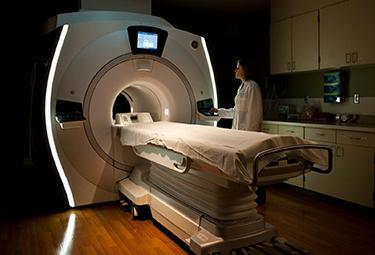 In Korea, a total of 43 cyclotrons are installed at health centers across the nation. GE Healthcare’s cyclotron (PETtrace 880) installed at KIRAMS marks the company’s 400th cyclotron rolled out to the world and will be used for cancer diagnosis and treatment at KIRAMS’ convergence research center which is currently under construction. KIRAMS is a pioneer in radiotherapeutic research in Korea and it expects the new cyclotron to contribute to many tangible outcomes in its research and development of radioactive drugs and cancer diagnosis and treatment. Meanwhile, ‘GE Cyclotron and Radiochemistry Module Symposium’ was held at KIRAMS on Thursday to celebrate the institute’s cyclotron introduction. The symposium featured Erik Strömqvist, General Manager of Cyclotrons and TRACERcenter, GE Healthcare, who presented on GE’s cyclotron technology and vision. He was followed by Dr. Lee Kyo-chul at Institute of Radiation Medicine Research Center, KIRAMS, who shared the institute’s experience in cyclotron and radiochemistry modules.